Winning the lottery can change your entire life in the blink of an eye, which is precisely why so many scammers and criminals take advantage of those thinking that they could have won huge amounts of cash. 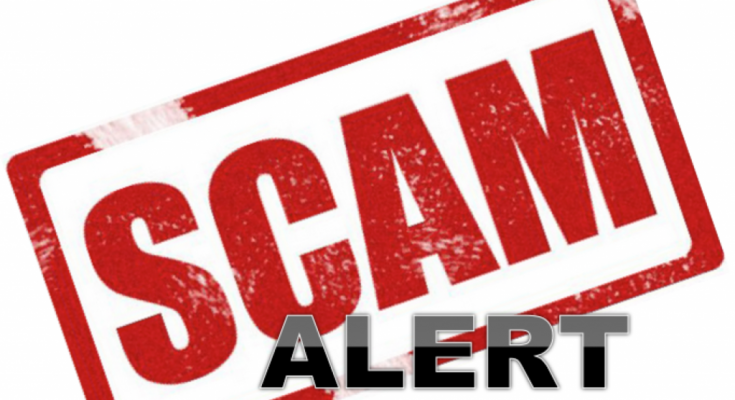 Lottery scams come in different forms, but usually, have one thing in common; they promise you a big payout in return for a “processing fee”, or other type of nominal payment. The scammer claims that these fees are needed to distribute the lottery winnings, and the scammer will often ask for subsequent payments stringing the victim along. These lottery scams are instigated through text messages, emails or phone calls; and replying to these messages can open the floodgates to being scammed. Let’s go over a few ways that you can protect yourself against lottery scams. Sometimes the scammers will use legitimate sounding names like “National European Lottery” or “Prime Lottery International”, but you should always dig a bit deeper to find out the source of these messages. Often the email address will bear no resemblance to the company mentioned and will be sent from a free email service such as Yahoo, Gmail or Hotmail. No legitimate lottery company would use a free email address to communicate with their winners. If you do play a particular lottery or multiple lotteries keep records of those lotteries names, their particular draws and which countries they are located in. A lottery scammer may use the name of legitimate lotteries that you haven’t played yet to try and scam you out of money. A quick online search of the company name will also help you determine whether it has been used in previous scams, or the search results won’t include any official lottery organization’s website. If the mail contains contact numbers or street addresses you can also Google these and see if they show up on any lists of confirmed lottery scams. The street address may also match that of a business completely unrelated to any legitimate lottery companies. Ever wondered what your odds are of winning the lottery? Check out page on lottery winning odds and find out for yourself! Lottery scams often claim that they select their winners at random by choosing random email addresses, phone numbers or ID numbers. No legitimate lotteries will select winners in this way. Always remember that it is impossible to win any lottery without first buying lottery tickets. The message will not refer to you by name but will instead refer to you as “Dear Sir”, or “Dear Madam”. The spelling and grammar on these messages is also often very poor. Lottery scammers will want to separate you from your cash as soon as possible. To do this they will often include an “expiry date” that you have until to collect your winnings. This is the most common method that scammers use to get their victims to pay over a “transaction fee”. Scam lotteries often use extra incentives, such as holidays or extra money, if you respond quickly enough. This is just another way that scammers try and get your details or any payments from you as quickly as possible. The message claims that you have won the lottery by taking place in a survey or census. You will never automatically be entered into a lottery draw through partaking in either of these. Sometimes scammers will claim that you have won a lottery that has been sponsored by a wealthy individual such as Bill Gates or Mark Zuckerberg. Keep in mind that lotteries are not sponsored by private individuals. What are the most common types of lottery scams? Second Chance Lottery. This is a scam whereby the scammer will contact you and claim that you have a chance of winning a prize that has until now remained unclaimed. UK lottery services and other major international lotteries never run these type of competitions, rather they donate any unclaimed winnings to charities and other causes. Lottery Winner Trusts. The scammer will contact you and claim to be working on behalf of a prominent lottery winner who now wishes to distribute their winnings to the less fortunate. The end goal for the scammer is to obtain your bank details or other personal information. Fake Ticket Scam. This is when a scammer will approach you with what at first glance appears to be a winning lotto ticket or scratch card and will offer to sell it to you for less than the total winnings of the ticket. To make their claim sound more legitimate the scammer often claims that they cannot collect the winnings himself because of financial difficulties, fear of deportation, tax reasons, etc. Check Is In The Mail. One of the oldest and most simple lottery scams, people continue to fall for it to this day. The scammer will come to you claiming that you have won an international or foreign lottery and that they will mail you a cheque for the winning amount. The only catch is that they require a processing fee and mailing costs to get the cheque to you, only you can be sure that the cheque will never arrive or that you will not be able to cash it. Dangerous Links. This scam is done exclusively via email and rather than trying to scam you out of money directly, the scammer instead tries to steal your banking details and login information. The scammer will include a link in an email that sends you to a site that will infect your computer with malware which can obtain personal details logged onto your computer in the past. Big Company Lotteries. Some scammers will try and make their scam lottery seem more legitimate by using the names of big companies like Microsoft or Google. These companies may have your personal information and the scammer will claim that they have randomly entered your details in a lottery. Large corporations like Microsoft or Google will never submit your personal information to a lottery organization. How do I know if the lottery is legitimate? The easiest way to know if any lottery company that has contacted you claiming that you have won a prize is legitimate or not is to ask yourself, “did I ever play in this lotto?” Remember that you can never be a winner in any lottery if you do not purchase tickets first. A legitimate lottery will always subtract any taxes or fees directly from your winnings, they will never ask you to make any payments upfront before you may collect your prize. When playing the lotto only be sure to play in the well-established, larger lotteries. Some of these include the EuroMillions draw or the USA Powerball lotto. Play using a well-established lottery syndicate. Lottery syndicates better their chances at winning by purchasing more tickets than an individual player. In fact, one in every four jackpots won in UK lotteries are won by lottery syndicates. Rely on lottery-focused message boards or forums to determine which lottery services are legitimate and to find out if any major lottery scams are currently being used online or elsewhere. Be wary of any unknown numbers calling you that start with the digits 190. These calls are charged at a premium rate and can be very expensive. Be wary of any free or incredibly cheap offers; these are often too good to be true. NEVER pay any money up front. This is the most common indicator that you are being scammed; keep in mind that legitimate lottery companies will never ask for any money up front. Keep a record of which lotteries you play in. You are less likely to be the victim of a lottery scam if you are aware of which lotteries you participate in. If you have any suspicions that it may be a scam break off contact immediately - a scammer may try and play on your emotions. Is It Safe To Play Online Lottery? So the question you may be asking yourself, is it safe to play online lottery given the high prevalence of lottery scams? There are trustworthy channels to play online lotteries through, but it is important to be know how to recognise these sites before playing. Choose a site that has a good reputation and a consistent record of paying out winnings to their players. You can be sure that these sites do not run scam lotteries and will protect your personal information. If a site offers ticket sales from larger, established lottery draws, such as USA Powerball and EuroMillions, this is a good sign that they are a trustworthy channel to play online lotteries. Another service offered by reputable online lottery services are lottery syndicate purchases. Make sure that the service you choose has the option for you to purchase online lottery tickets as part of a lottery syndicate.